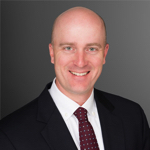 Jason Flemmons is a Senior Managing Director in the Financial Forensics practice of Ankura Consulting Group. Mr. Flemmons has over 20 years of experience in forensic accounting, corporate investigations and technical accounting and auditing matters. Mr. Flemmons provides a broad range of expert and consulting services involving accounting advisory, auditor liability, fraud examination, dispute resolution and other services. Prior to joining Ankura Consulting Group in May 2016, Mr. Flemmons was a Senior Managing Director in the Forensic Accounting and Advisory Services practice at FTI Consulting from December 2012 to May 2016. Mr. Flemmons led numerous consulting and expert engagements involving a variety of accounting, auditing and disclosure related matters in connection with regulatory investigations and post-acquisition disputes. Mr. Flemmons is the former Deputy Chief Accountant of the U.S. Securities & Exchange Commission’s Division of Enforcement, where he supervised and performed numerous financial and accounting fraud investigations involving SEC registrants and other parties. During his 12 years of service in the SEC’s Division of Enforcement from October 2000 to November 2012, Mr. Flemmons advised on a wide variety of technical accounting, auditing, disclosure and internal control matters. He also performed and managed cash-tracing investigations resulting from violations of the Foreign Corrupt Practices Act, asset misappropriations, Ponzi schemes and concealment of illicit gains. Mr. Flemmons co-chaired the Division of Enforcement’s Cross Border Working Group, which oversaw and coordinated numerous investigations involving issuers and auditors located in foreign jurisdictions. Mr. Flemmons worked closely with both SEC trial counsel and criminal prosecutors during the litigation of high profile matters in civil and criminal forums. Before joining the SEC, Mr. Flemmons was a managing consultant in the Financial Advisory Services practice of PricewaterhouseCoopers. In addition to supervising forensic accounting investigations, he identified and evaluated potential purchase price dispute claims, performed economic damages analyses and investigated alleged employee embezzlement and money laundering. Mr. Flemmons also has experience performing financial statement audits of both publicly-traded and privately-held companies in a variety of industries located in the United States and overseas. Mr. Flemmons received a Bachelor of Business Administration in Accounting from the College of William & Mary and is a Certified Public Accountant (CPA), a Certified Fraud Examiner (CFE) and is credentialed by the American Institute of CPA’s (AICPA) as Certified in Financial Forensics (CFF). In 2015, Mr. Flemmons was appointed to serve on the Executive Committee of the AICPA’s Forensic and Valuation Services (FVS) section. Mr. Flemmons also serves on the AICPA’s Forensic and Litigation Services (FLS) Fraud Task Force since his appointment in 2012. Mr. Flemmons is a frequent speaker at industry conferences nationally and internationally.